Sitting in traffic is one of America’s pastimes. Everyone has to sit in a sea of stationary cars on the highway from time to time whether it’s on I-95 going down to Florida or the I-5 at the beach in California. Luckily, some cars have ways of entertaining their occupants or at least keeping them placated until traffic gets moving again. 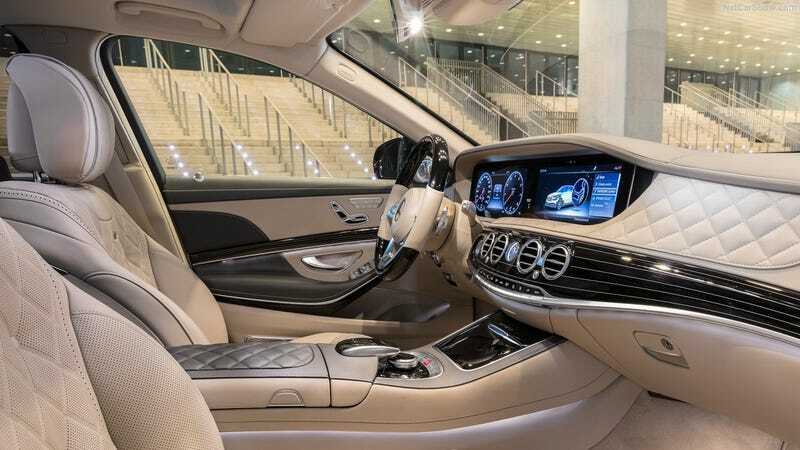 If I could pick any car I want to pass the time while waiting for rush hour to calm down, I’d pick a Mercedes-Maybach S-class and not for the obvious reasons. The Maybach is undoubtedly comfortable and the car does a fine job of surrounding me in a cocoon of opulence but the real reason is that big ol’ screen on the dash. I have no idea how many features the Maybach’s screen has and I want to figure out all of them. Time waiting in traffic would fly by when I’m mashing buttons trying to find out what they do. Show us the cars that you’d be fine with in a traffic jam. Let us know what vehicle interiors capture your attention.